Having read so many article about how to use Linux Mint Main Menu (MintMenu) on ubuntu then try it (* Eventually i feel satisfied), I was interesed to re-write same article to you, there are a lot of way to install mintmenu on ubuntu 10.04 some website suggest to use separate install through dpkg and other website recomend aptitude. Since a have tried all suggestions this is 6 simple, fast, and easy step to implemented when you try to install MintMenu on Ubuntu 10.04 (Lucid Lynx). 4. Point your cursor in the empty space in gnome panel, right click and choose "add to panel". 6. Arrange the panel with your favour. 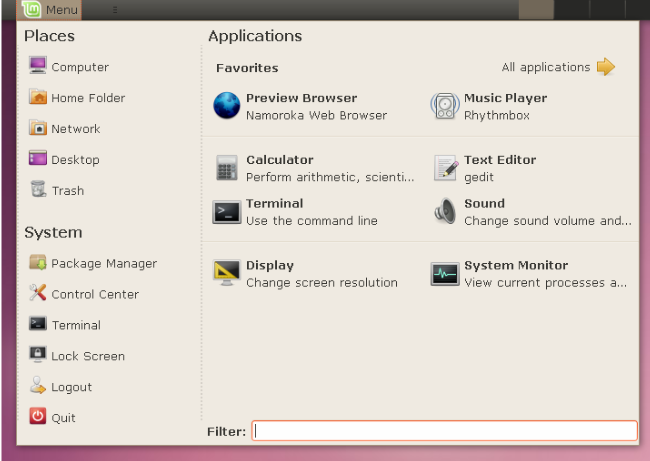 if you have successfuly implemented 6 Step above, your ubuntu menu should be like this !! 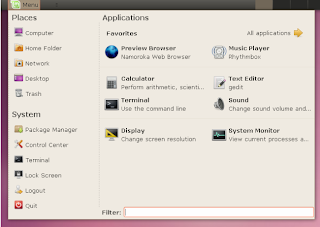 If your menu same as mine you have successfully implement MintMenu on Ubuntu 10.04 (Lucid Lynx).